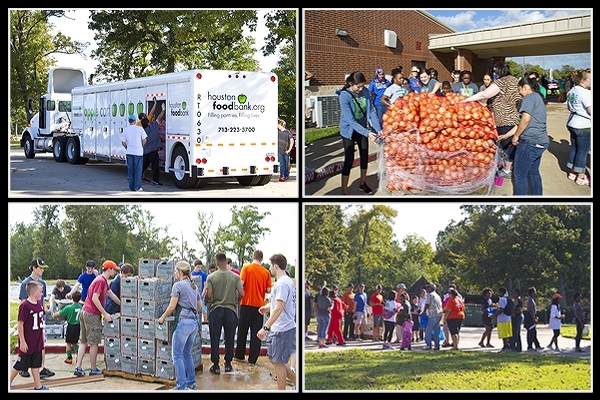 The food distribution this morning from the Houston Food Bank was a huge success! It was inspiring to see so many people come together to make life a bit better for others! More pictures and details will be posted soon, but this great news couldn’t wait. Thanks to all JSL, HCOC, SHSU Athletics, AOA, HISD, and FOH members who spent the morning in service!! !